This might be a price reduction directly from the manufacture because some of the big box stores have lowered their price of the same saw, although not as low. Still, many online stores are selling the miter saw for $450+. With a 15-AMP motor, the DeWalt 716 Miter Saw is powerful enough to handle just about any hard wood you can through at it, no matter the thickness. 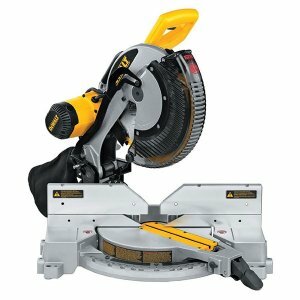 What is nice about this saw is that it is a double-bevel model, which allows for faster cutting in certain applications.